Dexter Daily: Showtime President David Nevins: "Someday There May Be a Dexter Spin-off"
Showtime President David Nevins: "Someday There May Be a Dexter Spin-off"
It's been almost two years since Dexter ended and there a still talks regarding a continuation of the series. 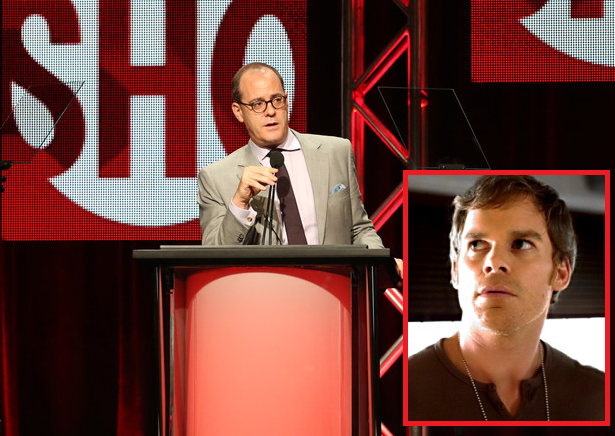 In every TCA panel it becomes known that Showtime and David Nevins are seriously willing to bring Dexter back with a spin-off. A year ago, Showtime president David Nevins said that a spin-off is "always within the realm of possibility." A half year ago, Nevins said a new Dexter series would "have to involve Michael C. Hall." Few days back at the 2015 TCA summer press tour, Nevins says that while there’s no news on the Dexter continuation front, it’s something they certainly still talk about. "Dexter’s’ the one show that I would think about continuing. It’s a question of when the timing is right," says Nevins. "If there’s a willingness to do it, I would certainly listen. Certainly I’d look at Dexter." According to Zap2it, Nevins later tells a small group of reports that Dexter "remains the most asked-about property" and that "someday" there may be a spin-off.